I bet no one expected this post! 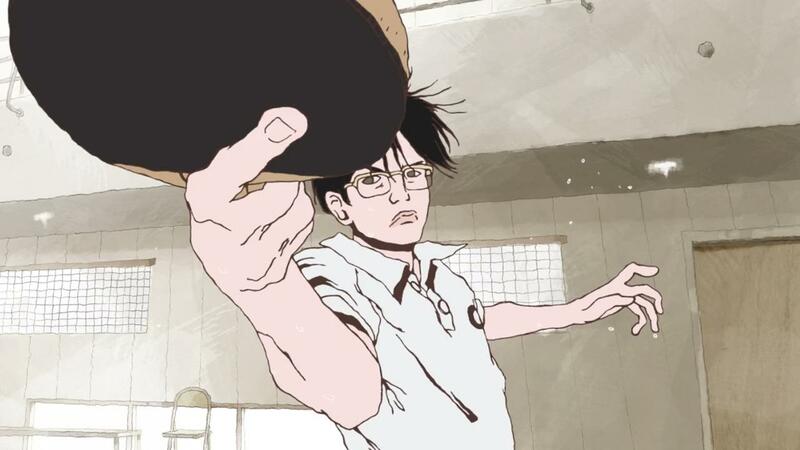 Since I first watched Ping Pong The Animation episode #1, I fell in love with its energetic and crazy opening. I was so much in love with it that I also wrote down on my calendar the day of its official release! About the anime I can’t say anything yet. That’s because due exams, stuff to do, translation works, the spare time of mine that each day shortens more and more I didn’t have much time to continue to watching it. By far, I’ve watched 3 episodes, and I really like its drawing and animation style, though that’s probably what most of anime fans would hate about it. I don’t think so… Actually, I find an anime like that more fascinating and mature than those hundreds of animes with moe and fanservice stuff like that. I think I grew tired of watching those animes, and I’m starting to be more picky about what I’m going to watch… Man, I’m growing older…! Anyways, once I’m done with my japanese exams that I’ll held in few days, I think I’m going to continue this anime, in which I have great hopes for its plot developement. Welp, that’s enough of a intro: Enjoy the translated lyrics of Tatta Hitori! If you don’t do anything, you’re going to disappear, you know? If I don’t do anything, I’ll disappear, right?